It's incredible what emotions are conveyed through photos and I feel so many things when I look at this photo. Dogs don't talk but I can imagine a thousand thoughts from this dog. They're full of emotion and expression and if you look deep enough in to a dog's eyes I'm sure you can correctly guess what they're thinking. Using a harder light with heavy shadow helped me dramatise the expression from this dog, even down to the definition in the eyebrows that make her look serious but also a little sad. 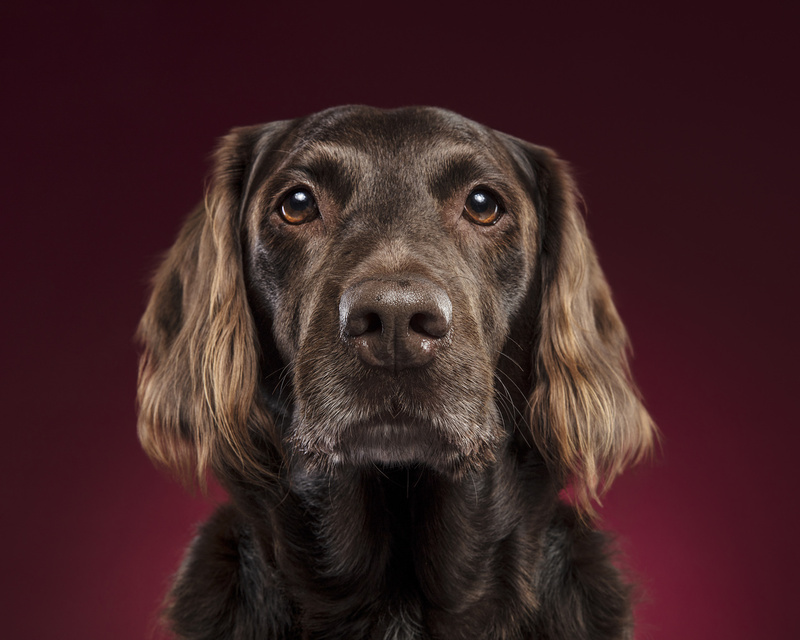 Brining out the shape in the fur could reveal facial expressions you never thought a dog could make.